Indio, CA: The City of Indio is continuing its commitment towards a better connected and more sustainable roadway system by developing a Complete Streets Plan. This plan is funded through Caltrans’ Sustainable Transportation Planning Grant Program to develop an Indio Complete Streets & Drainage Master Plan. 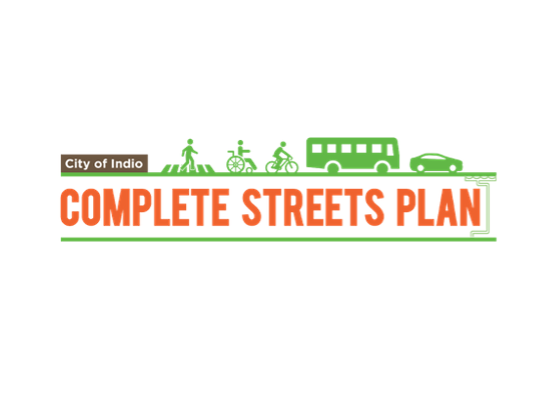 The “Indio Complete Streets” project, will look to provide a comprehensive framework to enhance connectivity for all roadway users, improve the City’s drainage system, implement the “green streets” concept and provide more sustainable storm water management practices. The project is an effort led by the City, along with input from partners such as the Indio Police Department, Coachella Valley Association of Governments (CVAG), Sunline Transit Agency (STA), Riverside County Transportation Commission (RCTC), Greater Coachella Valley Chamber of Commerce (GCVCC), bicycle advocacy groups, and other key stakeholders to facilitate strategic plan development and collaboration. The City needs your participation. As part of the project, the City is seeking input from the community through a short SURVEY to better understand needs and overall walking, biking, and transit experiences within Indio. An INTERACTIVE WEBMAP is also available to help document more location-specific feedback by allowing individuals to pinpoint concerns, record comments, and upload photos for the Indio Complete Streets team to evaluate for recommendations. By developing this Complete Streets & Drainage Master Plan, the City will be positioned to apply for grants in the future, to design and construct the recommended citywide improvements. The City of Indio is the largest and fastest growing city in eastern Riverside County with more than 89,000 residents. 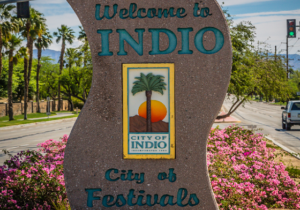 Nearly 1.4 million people visit Indio every year to attend its world famous arts, food, and music festivals. With nationally recognized public safety services, exceptional school, great parks, and senior and teen centers, no wonder more than 3,000 new housing units are in construction or being planned throughout the city in addition to new hotels, restaurants and retailers. Indio was the first city incorporated in the Coachella Valley on May 16, 1930, and is governed by an elected City council that employs a City Manager. The City of Indio embraces its diversity and provides outstanding municipal services to enhance the quality of life for its residents, visitors and the business community.